Halo 4 executive producer Kiki Wolfkill and 343i head Bonnie Ross decry Xbox Live sexism. "There are always going to be jerks out there," says Kiki Wolfkill, the woman Microsoft put in charge of the Halo IP, talking about the problems giving adolescents a broadcast mechanism. "If you give them a way to express that side of their personality without being seen," Wolfkill went on to say, "you're going to see this type of behaviour manifest itself." That's why there's a zero tolerance policy for sexist or discriminatory comments on Xbox Live; players who fall foul of the policy face a lifetime ban from the network. Both Wolfkill and Bonnie Ross, head of 343 Industries and thus in charge of Halo 4's development, see dealing with the jerk problem as the developer's responsibility. Hence the zero tolerance for sexist comments, but they also feel it's the developer's job to make sure that the game doesn't portray itself in a bad light. "As developers, we have a personal responsibility to think about how our games come across," said Ross. "With Halo 4, we were very deliberate in thinking about who should be female and who should be male in the game, and if we came off stereotypical, we went back to question what we were doing and why." Both Ross and Wolkfill are prominent female gamers, but neither wants gender to be their defining characteristic. "When Microsoft created 343 Industries to take over Halo," Ross said, "I was given first choice to run the studio because I had proven myself. My gender played no part in it." Wolfkill went on to add that perhaps consumer responsibility had a role to play in the way the industry is perceived. A change in perspective, she thinks, is in order; gaming isn't an exclusively male-dominated area any more. 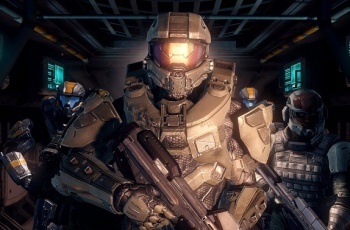 Halo 4 is due out November 6th, exclusively for the Xbox 360.